frillip moolog - Blog :: frillip moolog blog: If Martin Parr is a foodie then what does that make me? If Martin Parr is a foodie then what does that make me? Food is something that we all have in common. But it takes up varying amounts of importance in different people’s lives. Only some people know that in a previous existence (i.e. 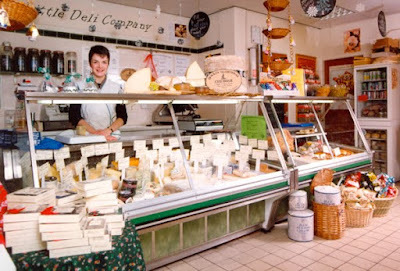 before being a full time artist) I was the proud owner of The Little Deli Company in Sutton Coldfield. 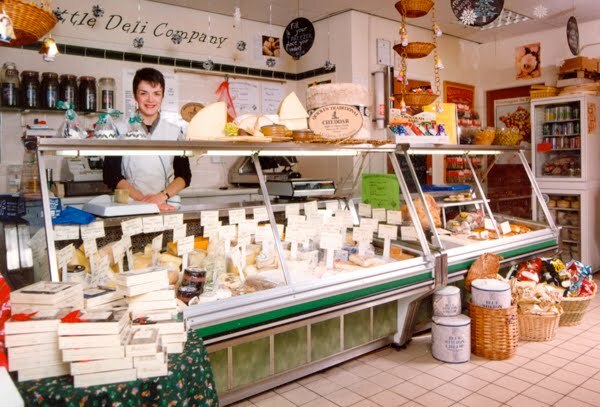 (Voted as one of the top 20 artisan cheese shops in the UK : Gourmet magazine 1993). So I was really quite excited to read Martin Parr’s blog post about his visit to El Bulli in Spain. His post starts, “Being a self confessed foodie....”. Really? up until then I had only thought of Martin Parr as a photographer. I was reminded of his work recently when I saw a selection of photographs from his Black Country Stories series at The Public in West Bromwich. I am particularly fond of two food related images in the series. Making sticks of rock in the Dudley confectionary factory and the pigeon one. Admittedly this is a racing pigeon but .. being a farmer’s daughter I am happy to eat pigeon too and have a couple of pigeons in my freezer at the moment. 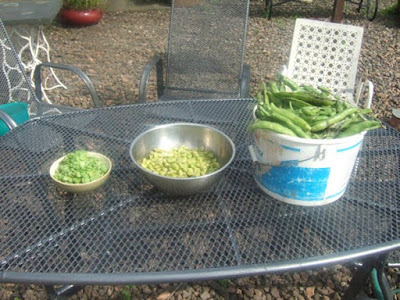 Knowing where food comes from and the effort taken to grow/ rear and prepare it is important. On a visit up to my parents’ house in Scotland my daughter and I enjoyed the complete process of preparing home-grown broad beans... now they are laborious but lovely! 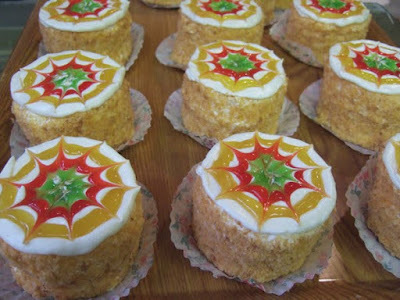 Having iced a few cakes in my time I know how to make these little spider’s web designs. These are from a Chinese bakery in Birmingham and I have to say taste quite different to what those of us with western palates expect. I snapped these when I was doing a treasure hunt with my children at Artsfest in Birmingham a few years ago. You can hardly go wrong with chips can you? Now they taste the same the world round. So what's the story here? I bought this book celebrating the Great British roadside cafe when I was visiting my favourite salvage yard in Cheadle Staffordshire. 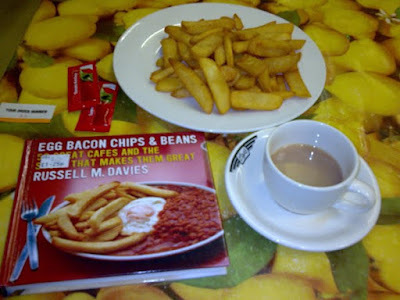 Having bought the book I felt obliged to pop into the first greasy spoon cafe to buy some chips! Months later I was driving to Lincoln to take part in Meleager’s Garland (curated by Anneka French). We stopped at this cafe. I looked up and was delighted to realise that I was parked outside one of the cafes whose sculptural architecture I had admired when I saw it months before in my chips/cafe book. I love how stories come together. This sort of architecture inspires me. It is very possible that this form will appear in a Frillip Moolog being sometime in the future. For me inspiration is to be found everywhere and sometimes unexpected places are best! Breakfasts vary around the world. 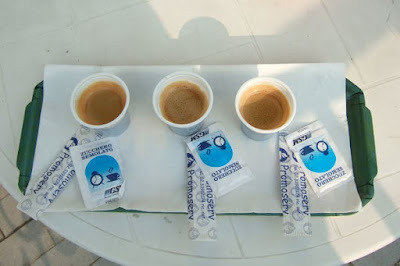 These three tiny cups of coffee were our breakfast in Milan when I visited the Salone Internazionale del Mobile back in 2007. 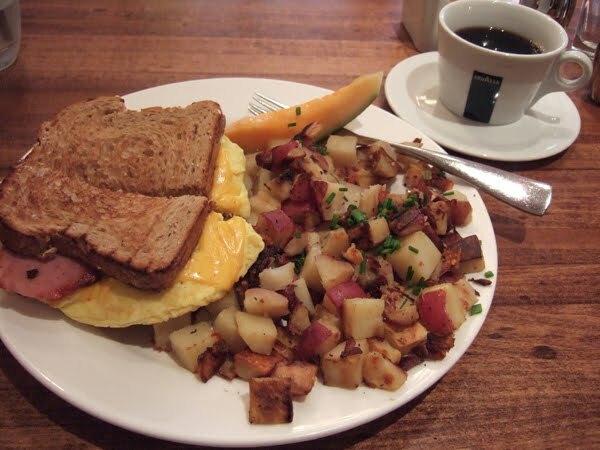 Compare and contrast with this monster breakfast (next picture) that I was served in Chicago in 2008. Cultural differences are evident here. These two tubs of dairy products were in my American cousin’s fridge. 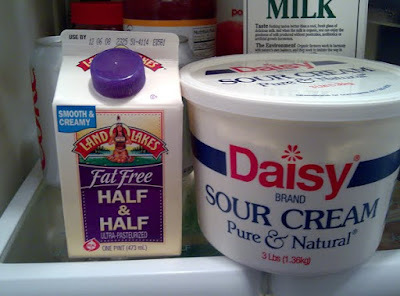 So why was I snooping in a fridge in Michigan, USA? I’d received a UK Trade and Industry travel grant to visit a show in Chicago and I travelled on to Michigan after Chicago. 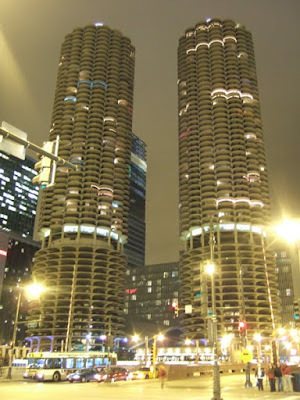 As it turned out the show in Chicago wasn’t really appropriate for me but while in Chicago I saw some absolutely fantastic architecture. The ‘Corn Cob’ towers by Bertrand Goldberg really made an impact on me. 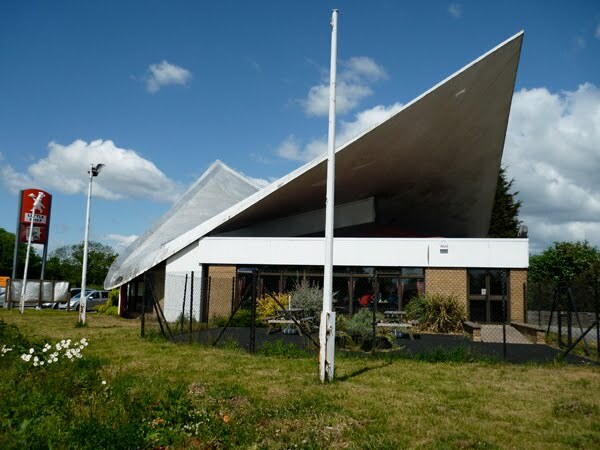 They were built in 1964.....and for a lovely sidetrack (Mythogeographical detour) visit Chalmers Butterfield's Wikipedia page to view lots more Kodachrome photographs from the 1950s and 60s. So again it’s an easy jump from food to architecture to sculptural inspiration. My stories seem to go in spirals or perhaps in lots of circles whose edges touch. But architecture features regularly - it’s wonderful not only to gain inspiration from architecture but also to exhibit in unique architectural spaces. 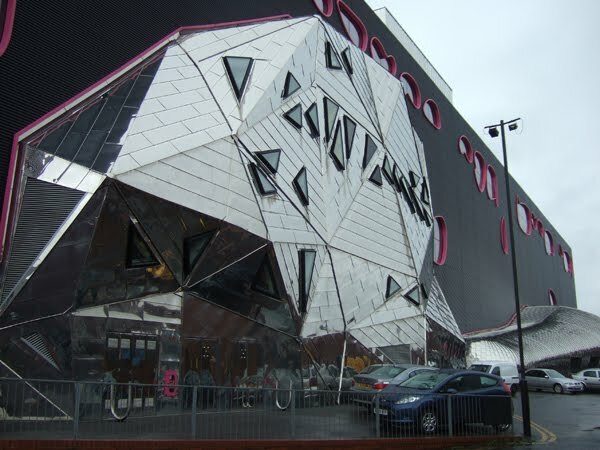 The Public, designed by Will Alsop, has a wonderful playfulness about it and so it seems entirely appropriate that I currently have five of my Frillip Moolog beings (sculptures) on show in it. -The Public, West Bromwich B70 7PG. Runs until 26th June 2011.